These days almost every phone is just a variation of what went before, but with a better camera, screen, faster processor or some other enhancement over whatever previous slabby version went before. 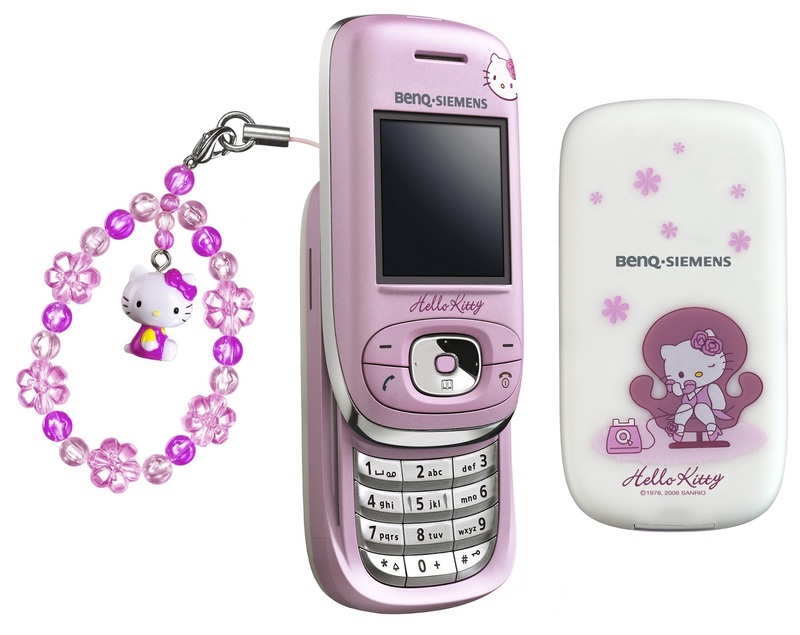 Ten years ago things were very different, and it was quite OK for a mainstream manufacturer to launch something such as the BenQ-Siemens AL26 Hello Kitty. A basic device even for its day, with a 130 x 130 pixel display, no camera, no music player and no Bluetooth. However, this compact slider phone was not only pink but it had Hello Kitty graphics front and back, and it came with a special Hello Kitty charm attached. The AL26 featured Hello Kitty wallpaper and themes too, all designed to make the phone irresistible if you like that sort of thing. Unfortunately, BenQ-Siemens was collapsing as they launched this and parents BenQ announced that it would close the business in September 2006. It seems a few of these phones did make it out and a few have been available priced at €30 or so. However, if you are really keen on a Hello Kitty feature phone there are plenty of other (and better) models available starting from about €35 upwards.